Goldsmiths — Save up to 50% on bridal sets! 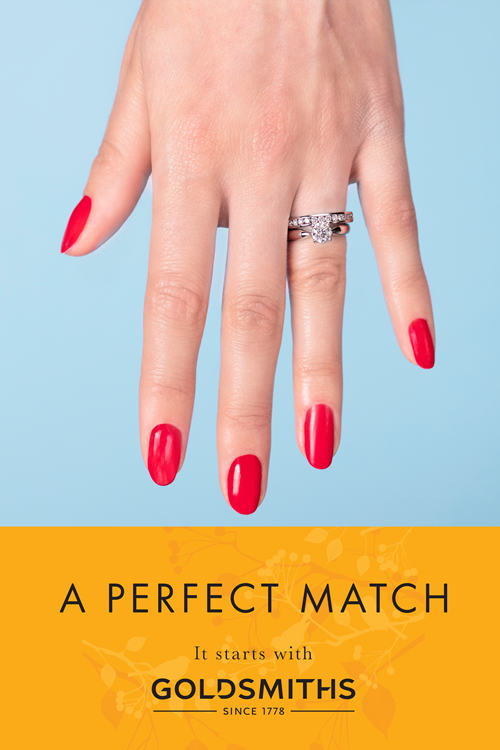 There has never been a better time to find your ‘perfect match’ bridal sets. 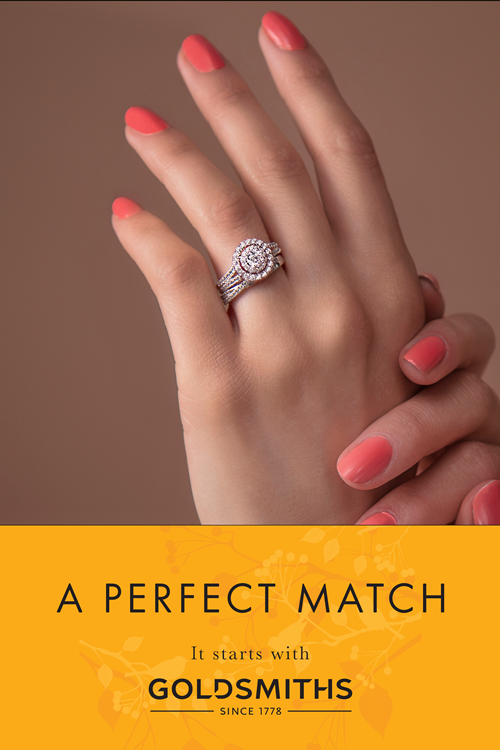 With savings of up to 50%, find your perfect fit with an exquisite range of shapes and diamonds to suit all tastes. Here’s a sneak preview of some of our favouires; to view the full range, head to the Goldsmith store at Fremlin Walk. A perfectly matched 18ct White Gold 1ct diamond engagement ring and wedding band that is half price. Only angels have halos, and this 18ct White Gold Double Halo Bridal Set is heavenly and half price. 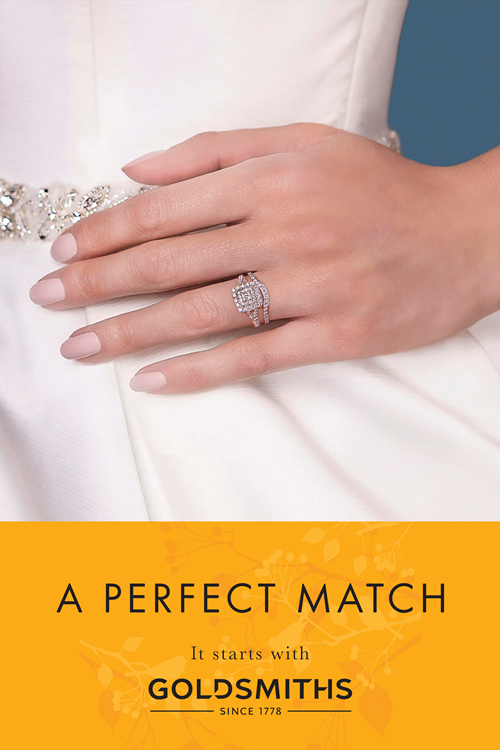 Our Diamond Bridal Sets are crafted for A Perfect Match. Plus, you can get 50% off the sets right now. This timeless and elegant 1carat diamond bridal set is only £3000, down from £6000! Visit your local Goldsmiths store to discover our Bridal Sets.